SKU: 42CC580. 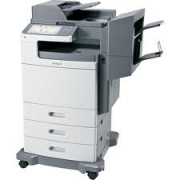 Category: Lexmark Laser MFP. 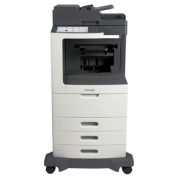 Lexmark MC2535adwe color MFP offers reliability, security, wireless and mobile printing, scanning, copying, and faxing, plus sduplexing, networking and print speed up to 35 pages per minute. It is an ideal printer for small business looking for an advanced color multifunction printer. The MC2535adwe’s 4.3-inch e-Task colour touch screen offers a precise, responsive, tablet-like user interface with multi-touch capabilities. The e-Task interface also opens a world of convenience and productivity apps. This device lets you connect wirelessly via built-in Wi-Fi, as well as AirPrint, Google Cloud Print, and Mopria on any network with existing Wi-Fi access. And with Lexmark Mobile Print, printing’s as easy as hitting print, choosing your printer and picking up your job. 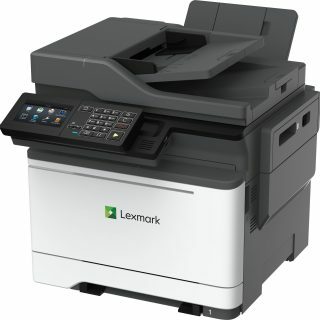 Be the first to review “Lexmark MC2640adwe Color MFP 42CC580” Click here to cancel reply.